Mac OS X 10.7 Lion and OS X 10.8 Mountain Lion both hide the ~/Library directory by default, the reason likely being to prevent accidental deletion of critical files that are needed for apps to run. Since most Mac users don’t ever need to go into the Library folder, this isn’t terribly shocking, but for those of us who do require accessing our Library directories it can be a bit shocking to discover the directory is no longer instantly visible as it once was. Fortunately, this is easy to reverse and if you wish you can switch the behavior and instead show Library all the time with a quick terminal command. 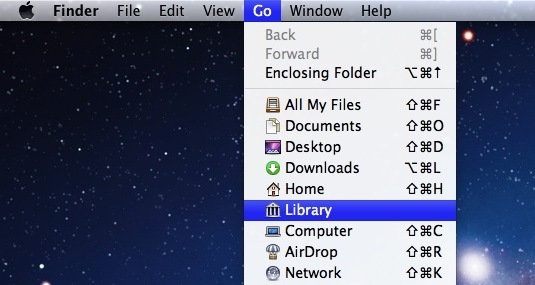 This tutorial will detail four different ways to access the User Library folder in Mac OS X from Mt Lion and beyond. To access the user library folder on a Mac with OS X Mountain Lion or Lion, issue the following command syntax into the Terminal app, this will toggle the hidden aspect of the folder to be visible again. Hit the return key to execute the command. By the way, this chflags trick works to permanently show the User Library folder in macOS High Sierra and Sierra too, as well as El Capitan and other modern versions of Mac OS X system software. With that said, for most users that simply isn’t necessary because they won’t be accessing the Library directory or its contents enough to make it worthwhile. Instead, you can use a trio of tips to quick and temporarily access your ~/Library/ directory, while still retaining it’s default hidden nature. All you need to do is hit Command+Shift+G from the Mac desktop (or Finder > Go > Go to Folder) and type in ~/Library to temporarily access the Library directory in the Finder. When you are done, close this window and it will no longer be visible. Holding down the Option key will show the “Library” directory as an option in the Finders Go menu. The other nice thing about the Go menu is that after you have accessed ~/Library on multiple occasions, it will start to appear in the “Recent Folders” submenu for easy repeat access. Thanks to Fred who left that last tip in our comments. The next time you hear someone who just upgraded to Mountain Lion or Lion frantically ask “Where did my Library folder go? ?” you can show them these tips. Because this change has been persistent across all recent versions of OS X, you can expect the change to carry forward into OS X 10.9 and beyond as well. So long as there continues to be an easy way to access the user ~/Library directory though that shouldn’t be an issue. 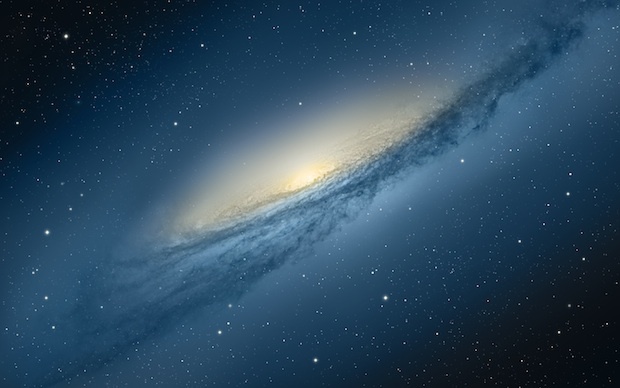 Don’t forget to check out the rest of our Mac OS X tips, tricks, and coverage! I’ve tried this a million times and it did not bring my Library folder up. Am I doing something wrong? Works for me! It doesn’t actually open the Library folder, it unhides it in the user folder. Did not work for me because of permission denied. But the other things work fine. Thanks! Maybe I’m wrong here, but can’t you just go through the HD instead of Finder? I found it after the Lion install to change the dock appearance again. I’m hurt: My new OS X Lion install DID make the Install program disappear in a few days, but my Root Library never disappeared! I wonder why it didn’t? I have a 17″ MBP 2.8 GHz bought new last October. He didnt mention a dvd stop trolling. It’s is a contraction of it is. Its is the possessive form of the pronoun it. “Its default hidden nature” is correct. Geez… seems we’re all slouching toward idiocracy. Fact is nobody CARES. If the meaning is understood nobody cares except maybe you and english professors. rghit pclae. The rset can be a taotl mses and you can sitll raed it wouthit a porbelm. Tihs is bcuseae the huamn mnid deos not raed ervey lteter by istlef, but the wrod as a wlohe. Amzanig huh? yaeh and I awlyas tghuhot slpeling was ipmorantt! if you can raed tihs psas it on !! I now invoke Godwin’s law and declare y’all ‘Grammar Nazis’ and by law this thread should end. If you double click on your drive on the desktop, it’s right there as well. No, James, that’s a different Library folder in your hard drive’s root folder. The Library folder that is now hidden in Lion is the Library folder in your User root folder (your Home folder, in other words). The difference is that each user has one of these (now hidden) Library folders, which affects his or her apps, extensions and settings etc. The Library folder that you mentioned, which you can still see on the hard drive, deals with system-wide settings on the computer. They are not the same thing at all. The reason I need Library is that attachments to mail are stored in ~/Library/Mail Downloads. If you, say, open one by double click, edit it, and save it without changing the folder, you have to find it in Library. And which folder is first to be backed up before re-installing OS X if not user/Library? Why hid Library in user folder and not in root? Thanks. This was very useful. Funter is a freeware Mac utility that can show and hide hidden and system files in Mac OS X, .including the user’s Library directory defaults to hiding on Mac OS X 10.7. Video is also available there. Oh, thank you. I knew when I upgraded that it would be hidden but didn’t need it urgently until today. The “Go To Folder” command is all I needed to access a font. Super helpful! None of these things work in Lion. Read the directions before commenting inaccurately. The hidden ~/Library/ was the tip that I needed, thanks. I ran into a a little speed bump but was able to work around it by copying the old sig file name before renaming it something like “delete me” then copying the system file name (that is mapped to mail) to the HTML file I wanted to use. Then I deleted the newly named “delete me” file leaving only the HTML file with the system created file name. Thanks for the help. It also tipped me off for the future that Lion is hiding some folders I was used to using in older versions of OSX. Thanks for the “~/Library/” tip. Once there, you can ctrl click to make a Library alias, and it remains in place after leaving the User folder and coming back to it. So after having many issues with Lion I backed up my files, erased the drive, took it to the apple store, and had snow leopard put back on. I even remembered to copy my user library file or at least I thought. Now I can’t seem to find it on my external drive. I tried the normal trick that would unhide it in Lion but that just takes me to my current user library – which is empty. Any ideas? All my iWeb work, mails, settings, playlists, etc were stored there. Hope this helps anyone in the same boat. By the way, this command also appears to work in Mountain Lion. Thanks for this, I couldn’t work out why the Lion instructions didn’t work but finally found these instructions. I am flabbergasted that Apply don’t include a way to create html signatures within Mail itself. Got no idea what their rational is but I’m sure they have their reasons. Thank you so much. This is so helpful -saved my sanity returning from an old mac G4 with OS 10.4 and a miserable year with Windows 7 totally lost without seeing all folders and files laid out automatically. I just did a search for something i knew was in my library folder and then clicked on the holding folder which was library. But all the other things work also. When I had the library folder showing, I dragged it into my sidebar where it used to be. Now it’s always available. I need access to trash preferences files when an app is acting up, mainly. Thank you! This was driving me crazy. I needed it to get to a place i could not find. Thank you this is driving me crazy! Thanks a mil. I couldn’t find the folder, and this was very helpful. I have just completed a fresh install of OS X Yosemite. I backed all my info up on time machine on a separate HD. I am trying to reinstall my thunderbird with all of my folders and preferences etc, but cannot access/find my ~/library folder in my backup. I have tried all of the above mentioned work arounds but no joy. Can anyone suggest how i may be able to locate it?